Our main topic this month is the GM sponsored World of Motion pavilion in EPCOT Center. The facts and figures in this ride are simply staggering, we also talk about animatronic carry over and how this attraction shared so many characters from other WDW rides. World of Motion is analyzed section by section, discussing each scene and our memories. How is the expert this month and even does some audio forensics on the ride...Brian forgets what side of Future World he is on, JT marvels at Albert the monkey and Todd continually says 'Tee Hee Hee'...We hope you are excited to learn all about this gone, but not forgotten attraction! Welcome to Episode 5 of the Retro Disney World Podcast: “Stubborn Donkey” We appreciate your support and hope you have been enjoying each and every episode. Be sure to check out some of the previous shows along with our latest. Thanks for listening! The regular crew is all here, Todd, Brian, How & JT are all present and accounted for. There isn’t much housekeeping this month, mostly because we are just that good, but Todd starts us off with a touching dedication that is more than appropriate. We also experienced record downloads and listens last month; thank you so much for that and we appreciate all of your interest in what we do here. Our main topic this month is the GM sponsored World of Motion pavilion in EPCOT Center. The facts and figures in this ride are simply staggering, we also talk about animatronic carry over and how this attraction shared so many characters from other WDW rides. 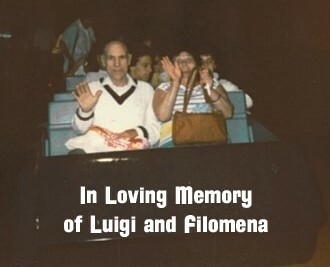 World of Motion is analyzed section by section, discussing each scene and our memories. How is the expert this month and even does some audio forensics on the ride…Brian forgets what side of Future World he is on, JT marvels at Albert the monkey and Todd continually says “Tee Hee Hee”…We hope you are excited to learn all about this gone, but not forgotten attraction! Congratulations to our two winners this month, Laura Bowles and Kelly Heft. The correct answer was The Living Seas. If you think you know the answer to the audio puzzler this month, email us! 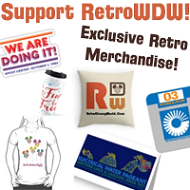 podcast@retrowdw.com – There is an opportunity to win a custom 3D printed Spaceship Earth container which you cannot find in your favorite Disney gift shop. All correct answers will also be entered into a drawing December 2015 for a Paul Hartley reproduction map from wdwmap.com!! We watch and discuss a retro film that has been restored with Pixcel and Imageworks. Follow along with us as we add color commentary to this 1976 Magic Kingdom film that includes the Swan Boats, restored to glorious retro perfection. So many good things in this one!